ORCA HealthCare is proud of our safe, durable, and (dare we say) beautiful multi-piece barrier free showers. They come in several different stylish, functional designs with a full range of threshold heights allowing for wheelchair accessibility. 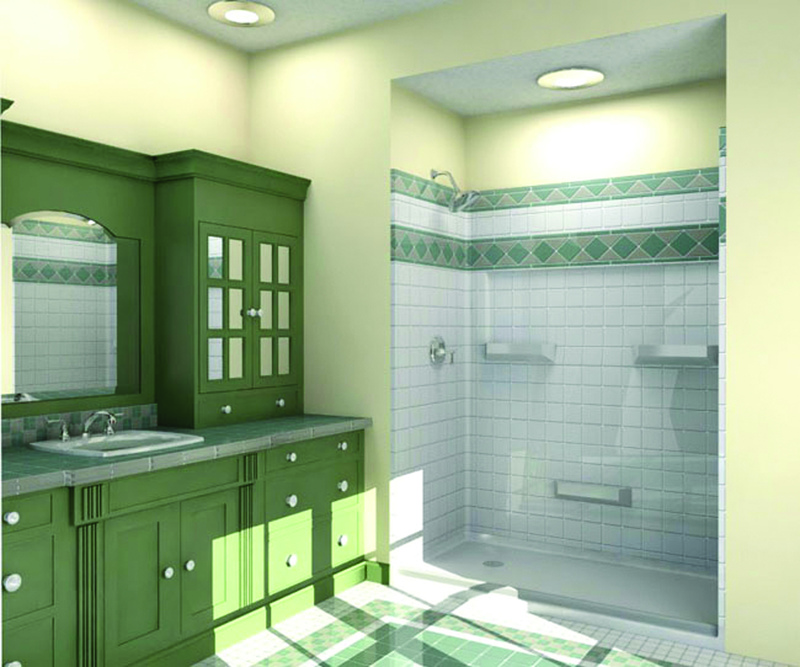 Barrier free showers can be installed in senior homes, private residences, universities, or wherever you need a top-quality handicap bathing area. We’ll crate and ship your shower kit to anywhere in North America and can offer full installation services within Greater Vancouver/Lower Mainland. But whether you are a homeowner or contractor, putting in our low threshold or roll-in showers isn’t difficult. The walls are backed with plywood, so no reinforcing is necessary and accessories can be easily and securely mounted where you need them; these showers also come with innovative, leak-proof snap-together joints. In addition, the base is pre-leveled, which means no mud-setting (and less hassle). Entry thresholds lower than 1.25” are reinforced with steel studs to prevent damage. When it’s ready, you (and its users) will appreciate the faux-tile fiberglass design, gleaming gel coating on the walls, and anti-slip finish on the floors. Cleaning is easy because there is no grout to worry about. To show you that we stand behind our products, all showers and shower pans come with a 30-year limited warranty. Available accessories include Symmons shower valve with glide bar and handheld, fold-up padded seat, WaterStopper (a collapsible water dam), grab bars, no-caulk drain, curtain rod and weighted shower curtain. ORCA HealthCare has raised the bar for quality and lowered the barrier of affordability, making these multi-piece handicapped showers truly accessible to all. 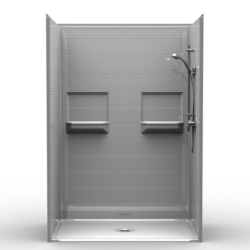 For additional information on handicap roll-in showers contact us. 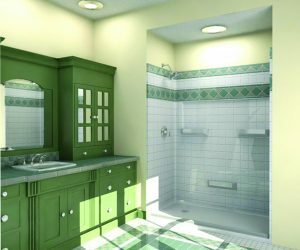 Previous Previous post: Accessible Showers: We Hate Wet Bathroom Floors! I would love to have one in my home, doing home improvement to bed and bathroom now how soon can I get it ? and how much do it cause? Do you have the dimensions of shower that you would need ?.. 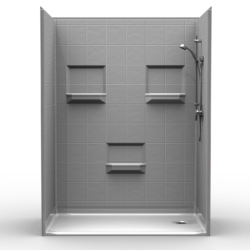 many of our barrier free showers are available as need it now packages and can be shipped on site within days..
please give some idea of price of a simple walk in shower. i just had a walk in shower installed 36×36. I cant even get my bath chair in it. I wanted to have one to replace my bathtub.this unit had to be ordered and cost 1400. am so upset. contractor is so nice and he said he will try and decide how we can fix it. my tub was cast iron and was 36×60. I have half of extra space that going to have to cover up. help?